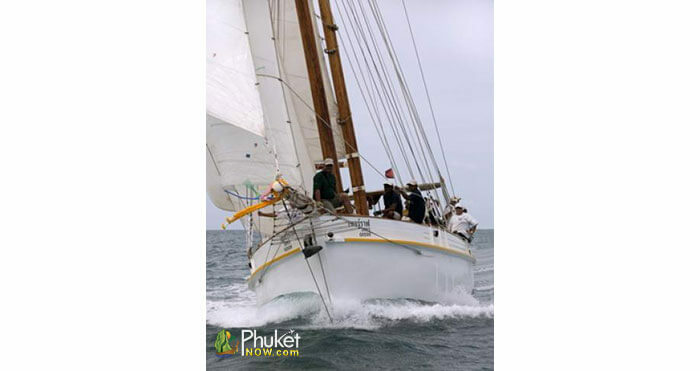 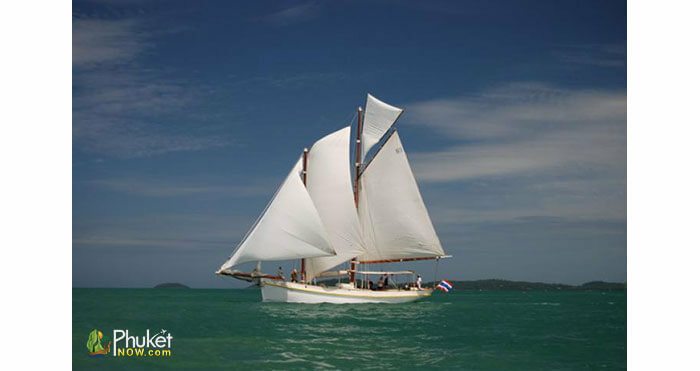 Phuket Now | 75 foot Schooner "Seraph"
The Schooner “Seraph” was launched in Copenhagen in 1906. 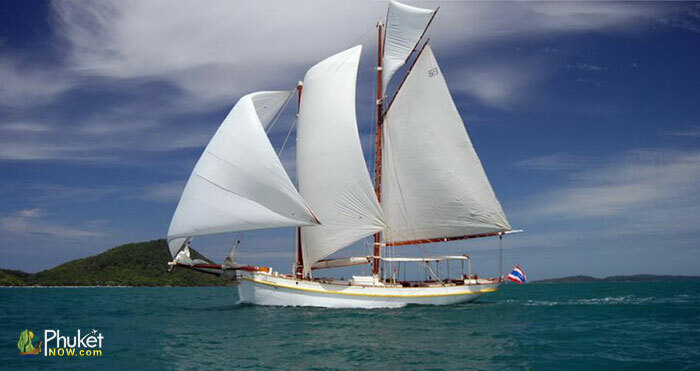 She is a traditional Gaff schooner. 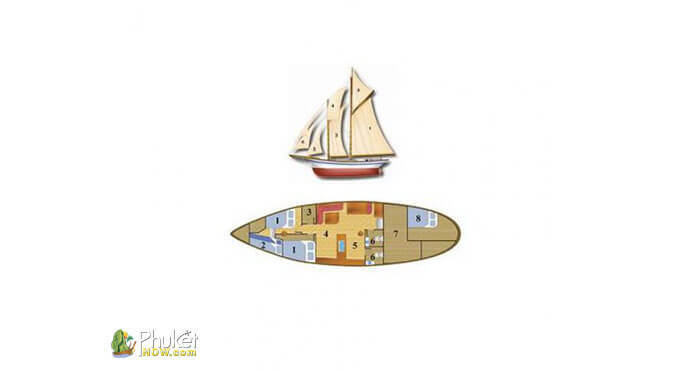 She is very stable and spacious with wide side decks and lots of shaded spaces to sit or lie in comfort. 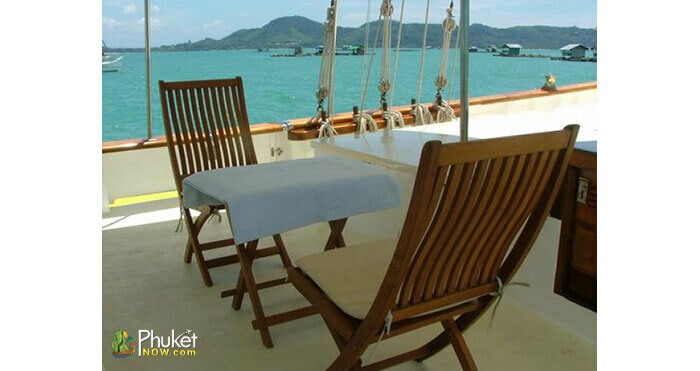 We have easy swim access and a tender to transfer guests to the beach. 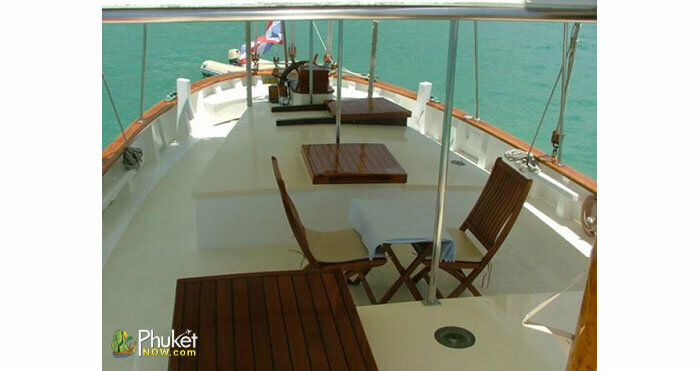 She is perfect for day sailing with larger groups of up to 35 people or for extended passages for six guests. 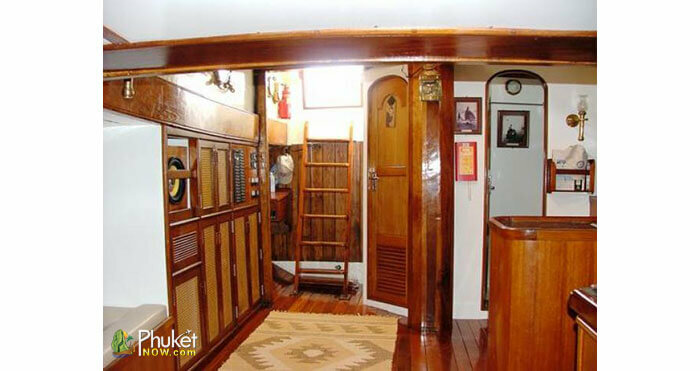 We specialize in live-aboard Diving safaris for small groups and have ample crew to take care of all your needs. 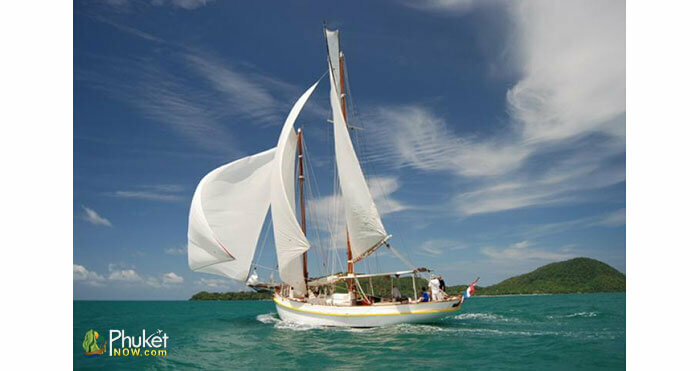 When diving we use an 18-foot service tender with a 100 HP engine so that we can access all the best dive sites with ease, while the mother ship lays at rest in a secure anchorage with those not diving enjoying the beach or snorkeling, reading a book or catching some rays.